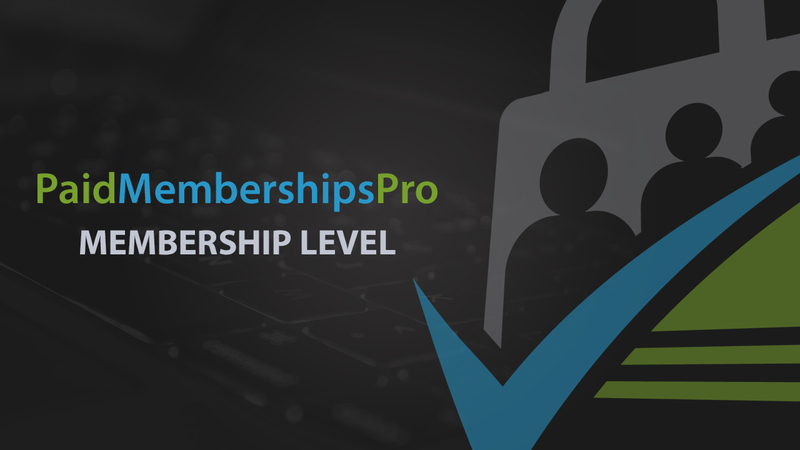 The first step to setting up Paid Memberships Pro is creating a Membership Level. 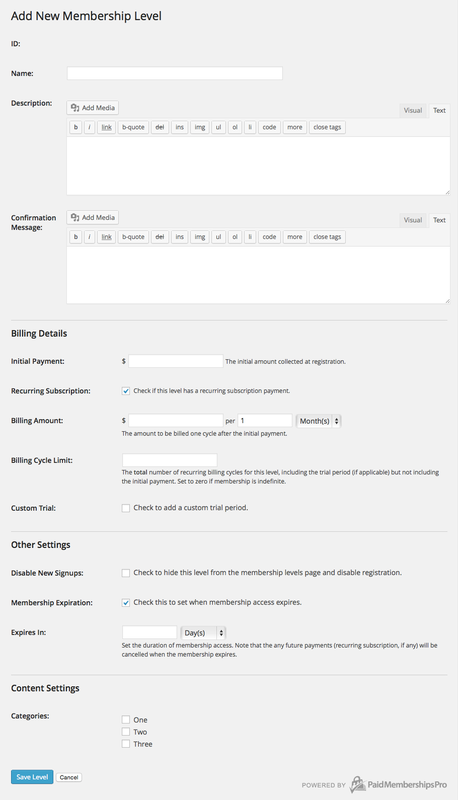 On the dashboard, go to Memberships > Membership Levels. Description: Optional content shown on the checkout page. Confirmation Message: Optional content shown on the checkout confirmation page. Content Settings: If you have any Categories that should be locked down for members, you can check them off at the bottom of the edit level page. This means that any post in a restricted/Members-Only category will be locked down for members of this level. Important: At least one membership level must be open to signups (“Allow Signups” = Yes) or your customers will be redirected to your membership levels page when they try to register or checkout.